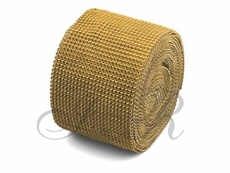 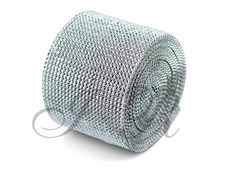 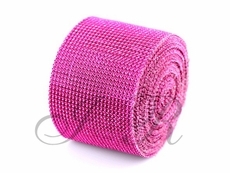 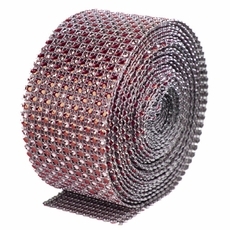 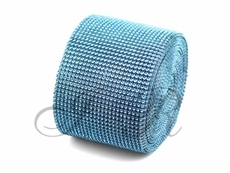 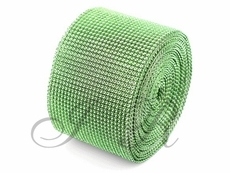 Idea Ribbon Diamond Wrap Ribbon Rolls are bendable mesh that can be trimmed in any length or width. 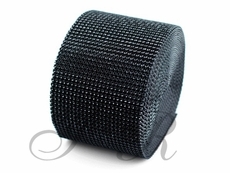 The sizes are 1/12" x 30 FT, 4.5" x 30 FT, and 2 Tone diamond wrap come with 2.5" widex 30 FT. 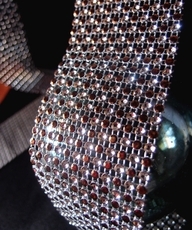 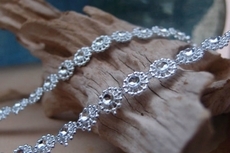 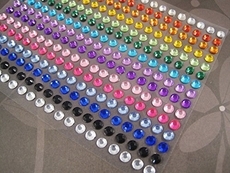 These rhinestone diamond crystal jewel fabric look-alike gives off an elegant, beautiful, and expensive look at an affordable price. 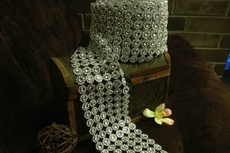 Accentuate your centerpieces,vases,dresses, home decor, and home goods with diamond wrap to give it a unique touch. 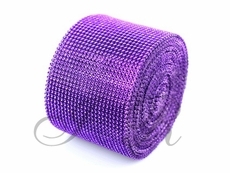 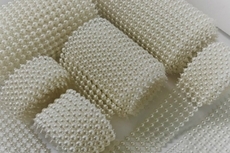 Sold by roll and found in many assorted colors and sizes. 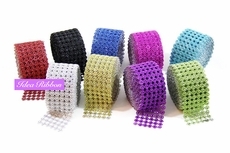 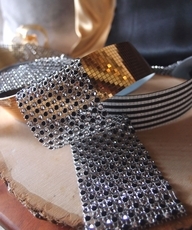 These diamond ribbon wraps are for craft related projects. 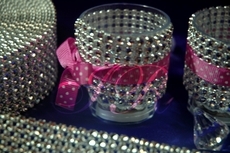 None of the wraps are real diamonds or priceless gem.